You can hide the notch on the Pixel 3 XL for now, but not without making it look more ridiculous. The notch on the Pixel 3 XL has been lambasted long since we learned about it, even compared to bathtubs and kitchen sinks. 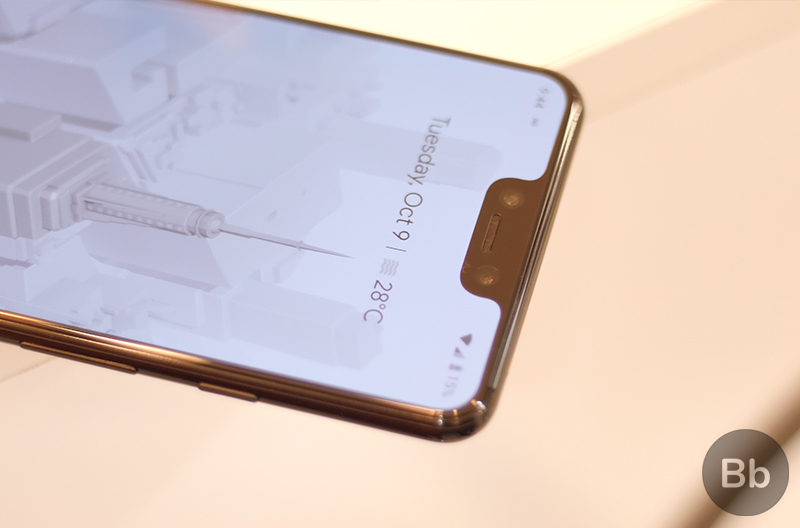 Almost everyone wished that Google has a pleasant surprise up its sleeve, and while that did not happen, we hoped for a method to turn the notch off. Even that is not an option on the Pixel 3 XL. Not officially, at least. But it looks like it won’t be long before there is one. Google recently said Pixel 3 XL will soon get an option to hide the notch with a future update. It didn’t tell us when, or how it will let you hide it. 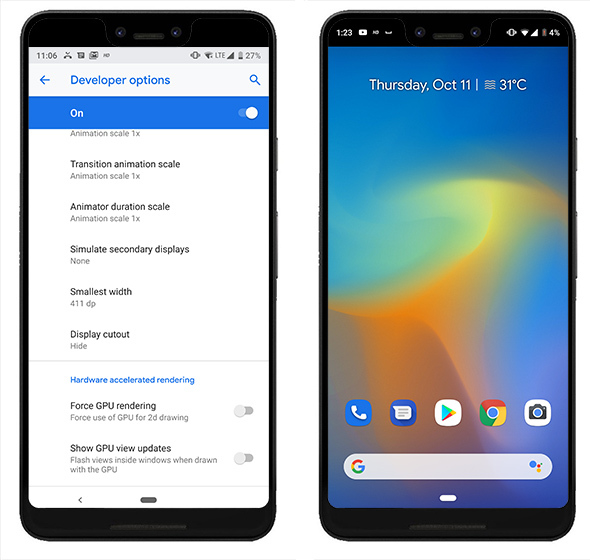 But if you have already ordered a Pixel 3 XL or are currently lucky enough to have one – like us – a temporary option can be found under Developer options in Settings. If you can’t find the option, head over to System in Settings and then About Phone, scroll all the way to the bottom and tap on Build number 7 times. You will get a toast telling you that it’s enabled. Note: This is not officially a way to hide the notch, but instead is a way for Android developers to test their app’s UI on a phone with no notch. Turning this setting on, lets them develop on the Pixel 3 XL, but test support on other phones which have a regular display. Now, go to System and then Developer options and under the Drawing sub-menu, you’ll find an option “Display Cutout”. You can choose to Hide option to knock the notch off. Until Google adds official support, you can download an app called Nacho Notch (free on Play Store) by XDA moderator Zacharee1. 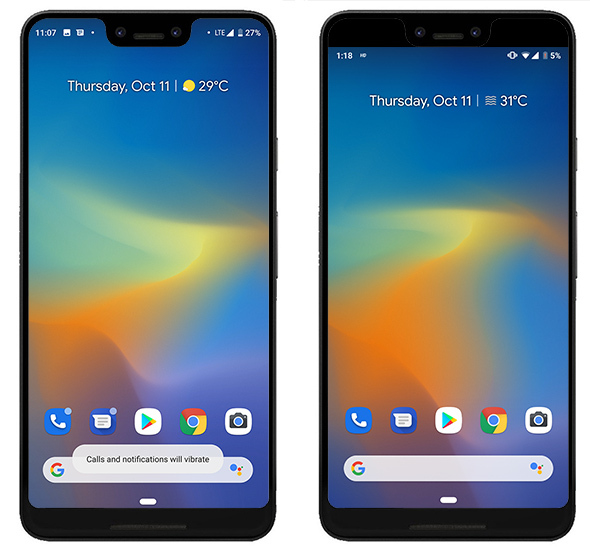 This app disables the notch on the Pixel 3 XL much like custom versions of Android including Oxygen OS and MIUI – it works on any smartphone with a notch and you can also use it darken the status bar on any Android smartphone. The corners are not rounded which takes away from the symmetry of the display but you can still try it out. Meanwhile, we hope that Google adds a legitimate option to disable the notch, unless it really wants that shocked emoji face staring at you all the time.